(also known as “monofilament thread”), you probably have developed a strong opinion about it. You may really like it, or you may hate every minute of using it. To see if some brands are easier to use than others, I tested six brands of invisible thread. Much to my surprise, I didn’t find an overall winner or loser. Instead, I found there’s a right way and a wrong way to use each one. The six brands I tested were Coats, Gutermann, Sew-Art, Sulky, YLI Wonder, and a spool of invisible thread I bought at Joann’s. It had no brand name – nothing but a white sticker on the bottom. I will refer to this spool as No-Name. I tested each thread in exactly the same way. I used the same sewing machine for all the tests – the sewing machine on which I set the Guinness Book of World Records for the most times threading a sewing machine. In every test I used the same bobbin, with the same light-weight cotton thread. I used the same fabric and batting for each test piece. And I used the same iron on the same setting for all the ironing tests. Spool/Cone. Some of the threads come on large spools, some on small spools, and some on mini-cones. Clear/Smoke. Some of the threads are intentionally a neutral gray smoke color rather than clear. But as you’ll see below, even the “clear” threads have a slight color to them. Color. 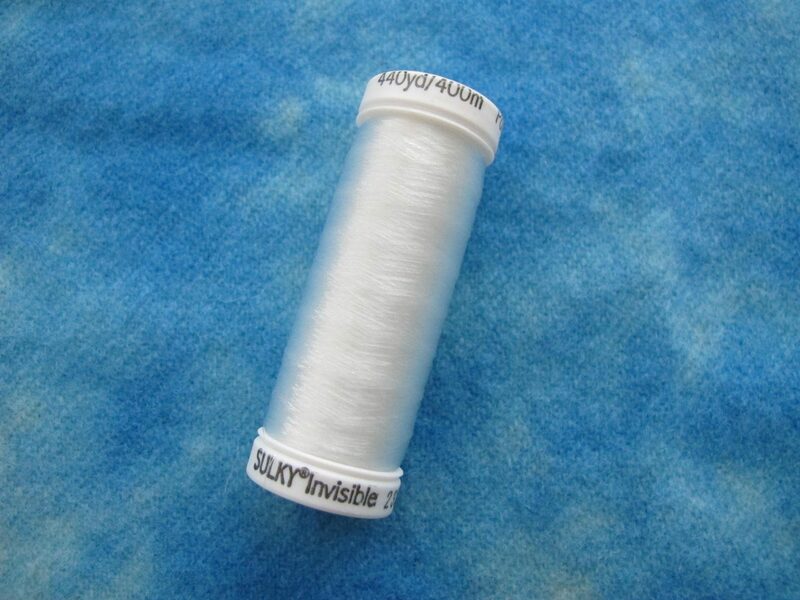 Invisible thread isn’t completely transparent. Against a pure white background you can see just a hint of color in any of these threads, though you have to look carefully. Size. Some of these threads are thicker than others. Feel. These threads range from a very soft feel to a noticeably wiry feel. Unwinds. Invisible thread is notorious for being unruly coming off the spool or cone. In this characteristic I try to describe how a thread behaves as it comes off the spool or cone. Machine Threading. How easy is it to thread a machine with each thread? Manual Threading. How easy is it to thread a needle by hand with each thread? Spool Pin. I tried each thread on both my horizontal and my vertical spool pins. In the table I tell you which position seems to work better for a given thread. Tension adjustment. Getting the tension adjustment is crucial, especially for invisible thread. In each case I started with the normal cotton-thread tension adjustment. If I found I had to increase or decrease the tension by a notch, the table shows that. Cap/Mesh. Getting the thread to feed properly also depends on using the correct spool cap and using spool mesh, if necessary. The table shows the combination that I found worked best for each thread. Invisibility (walking foot). I rated the invisibility of a straight line of stitches as Good, Better, or Best. Invisibility (free-motion foot). I rated the invisibility of a curved line of stitches as Good, Better, or Best. If you’re going to use invisible thread, then taming it as it comes off the spool or cone is critical to your continued mental health. First, if you’re doing applique, be sure your top tension is tight enough. If it’s too loose, you’ll definitely have problems with the thread falling off the spool or cone and wrapping around the spool pin. See the table mentioned above for the settings that worked best for me. If you have to change your sewing machine’s tension, make one small change and test again until you have found the right setting. If your machine has an automatic tension mechanism, override it if you need to. I was doing this test on a Singer 9960 and didn’t have any tension issues, but you might have to make a few adjustments before you get it right. For machine quilting, I found that all of the brands of invisible thread performed well on my standard cotton-thread tension setting. Next, you’ll find that some threads feed better on a vertical spool pin and others will feed better on the horizontal. The table has the positions that worked best for me. When you mount invisible thread horizontally, the size and tightness of the spool cap makes a difference, too. Match the size of the cap to the size of the spool. And if the thread is on a cone, mount the cone with the fat end toward the needle and use your large spool cap. Also, it is important to push the spool cap right up against the spool or cone, pinning it into a fixed position. The thread unwinds easily, even though the spool can’t rotate. Finally, after all these precautions, I was still having trouble with the thick Gutermann invisible thread. The solution that finally worked was to mount the spool vertically and slip some spool mesh over the spool. The extra resistance from the spool mesh tamed this wiry thread. I began my test by making six hearts to applique onto six 6″ squares. I turned the edges under using an iron. After pinning each heart to each square, I used my sewing machine’s blind hem stitch to applique the pieces together. I set my iron on the highest setting, let it warm up completely, and pressed every applique heart on both sides of the block. None of the invisible thread was affected. All threads stayed soft and intact. Finally, I machine-quilted each square with invisible thread. I found that some threads’ degree of invisibility changed depending upon whether I was quilting a straight line or curves. It seems to have to do with the way the light catches the stitches. You’ll find my observations in the table. I couldn’t pick a clear winner out of the bunch, but my personal favorite is JoAnn’s “no-name” brand. And my least favorite was Gutermann’s wiry thread. I have tried to avoid invisible thread in the past because no one seems to know how long it will hold up in quilts. And there are warnings about using it in baby quilts for fear of the child getting hurt if one of the stitches works loose. But after my testing, I think it’s an ideal thread to use for adding contour to your quilts without adding color. It is a good choice if you are just starting machine quilting and don’t want your stitching to be very noticeable. And invisible thread would work for basting quilts, too. Visit this page if you are looking for a new quilting machine. Inside we recommend machines for many different price points. Enjoy! Thank you for this excellent review! I’m trying to improve the looks of my machine appliqué, and these results are very helpful. Thank you for testing these threads in such a clear and non biased fashion. I appreciate your factual reviews. I have a love – hate relationship with invisible thread. When winding a bobbin with this stuff don’t put it through all of the thread guides. It gets too much tension and stretches. When you sew it will spring back causing puckers. Don’t fill the bobbin over half full. It will break the plastic bobbin. (Voice of Experience) Because it is so fine a half full bobbin will have more thread on it than a bobbin of regular thread. I like Sulkey because my machine seems to like it. I buy the larger spools because the small ones have small diameter winding which seems to get jammed up. I never put the invisible in the bobbin & I set the tension slightly stronger at the bobbin. 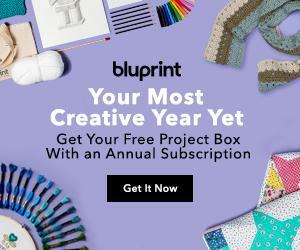 I’m a crafter and do all my sewing by hand due to the nature of the item(s) I make. Because of all the different (mainly novelty) fabrics I use, I’d really like to be able to use monofilament thread. However, I find that it is really hard to control due to its tendency to hang in tight curls once cut from the spool. I also need one that is fairly strong, as I am sewing 2 halves of a project together, and need to pull the thread fairly tight. So that said, I have only tried the Gutermann 100% polyester brand. With all the reports I’ve read out there, perhaps it’s time I checked out the other brands out there. Hopefully, I’ll find one that doesn’t curl so badly once it is cut from the spool. I am using invisible thread for top stitching an applique wall hanging with regular cotton thread in the bobbin. It was working well with slightly thicker invisible thread but I ran out and all I can find here in Panama is a finer weight which will sew for about an inch, then break. I think it is getting jammed in the thread guide. I am not sure what to do. Do you have a suggestion? Very useful tests – thank you. Especially impressed with your ironing tests, hopefully putting to bed the often expressed fear of melting – just wish you’d road tested YLI as well, which is my favourite! I was looking to find out about invisible threads to sew together my crocheted amigurumi stuffed toys. Thank you for your reviews. Can’t wait to give this a try. You did such thorough testing of these six threads, but it seems no one is clearly better. I wish you tested the one by SUPERIOR threads, which I use most, as well as Nancy’s Notions no-name thread. I have used these two only, with no problems to speak of, but I have not as yet used any for longarm quilting. I’ll just give them a try and if I can relocate this page, I’ll leave my results here. Thank you for publishing your results. I’ve so often heard the myth that you cannot longarm quilt with monopoly or invisible thread, and especially not in the bobbin. It looks like your findings show that this is indeed a myth.